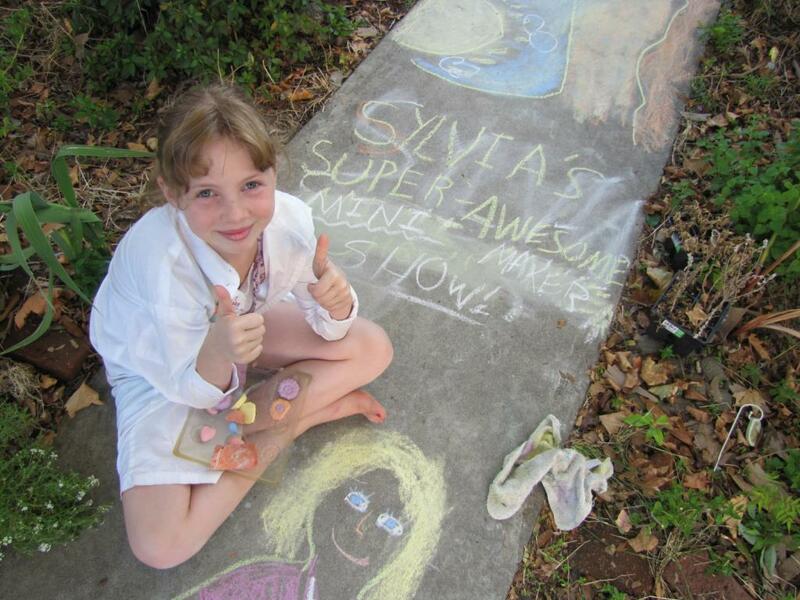 Sylvia makes sidewalk chalk | Sylvia's Super-Awesome Maker Show! Welcome to our third episode of Sylvia’s Super Awesome Mini Maker Show! Hey! Bored on a hot summer day? In the mood to let out your inner "van Gogh" and make something cool? 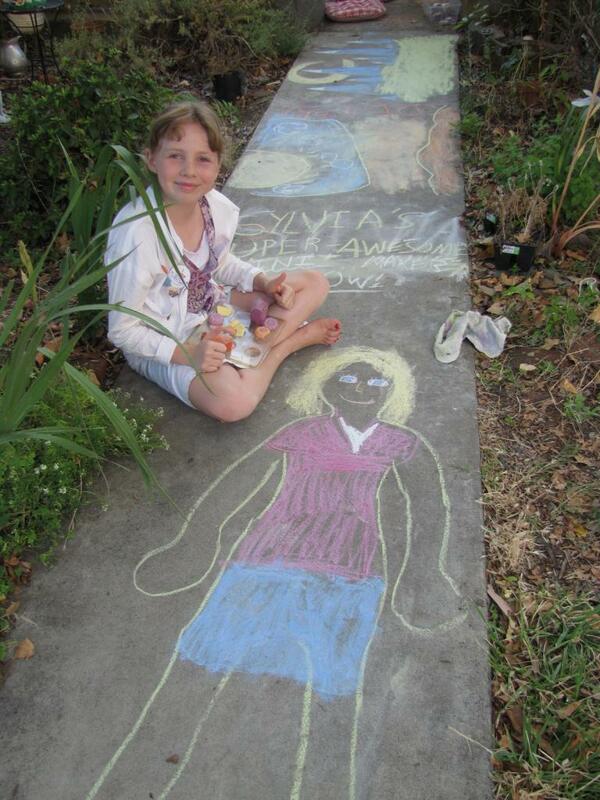 Then lets make some sidewalk chalk! First, take your tubes and line them with some wax paper, then seal the bottoms of each tube with tape and put them in a safe container to catch any spill when pouring. Take note: once you mix the plaster, the clock is ticking to get it poured into your mold, as it won’t want to stay liquid for long! You have about 2-3 minutes before the plaster becomes twice as hard to pour, and anything after 5 minutes is almost a paste and will be very hand to get into a mold. Be sure and have your molds completely ready before mixing. 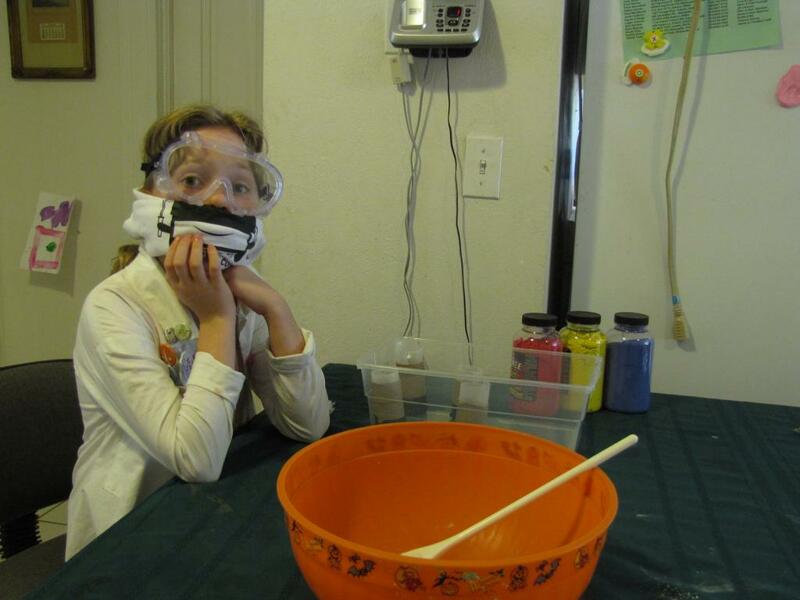 Safety first: Plaster dust is bad for you! Pour it outside, or with a breathing mask and eye protection. Always read the safety warnings on the package before working with chemicals or other potentially hazardous materials. Now mix in ¾ of a cup of warm water with 1½ cups of plaster of paris, along with whatever colors you might want. The more the better, but not too much! If your paint has any water content it will offset the mix. We originally tried with wet tempera paint, but it never dried and turned to mush! Oh well, Failure is always an option! Now that you're mixed, carefully pour the plaster into your molds. The mix should be enough to fill about 1 to 2 cardboard tubes, to make the other colors just repeat the previous steps. Once you’ve all poured, leave them out in the summer sun, or wait overnight and in no time they’ll be dry and ready to start drawing with. And that’s it! Try experimenting with different colors, different molds, or different paint types, like neon or glow in the dark. There’s a million different ways to have fun with this one, just be sure that you do. And remember, get out there and make something! themaxxrayIs it just me﻿ or does Sylvia have the best theme music on Youtube. brian940808OMG when i grow up i wanna be JUST like﻿ her!!!!!!! WambliPetaMy 5 and 7 yr old girls Love these Mini﻿ Maker vids 8-) Thank you for share'n!! ProfessorAlaskaThat little girl﻿ is sort of epic. MacintoshUser1986"Safety First!" Haha, that﻿ was so cute! 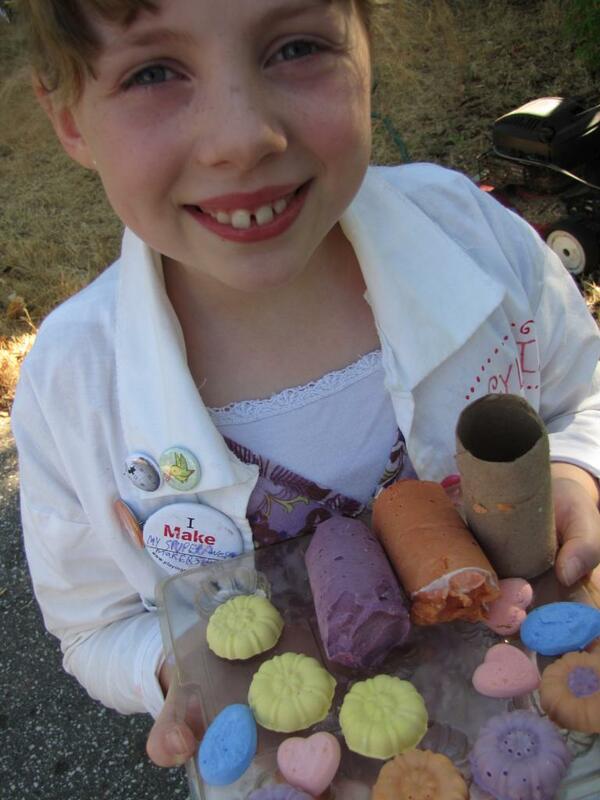 She's an awesome little scientist! kickercaster18Awww...She's like a﻿ scientist, only miniture! oddsourcelol... like how you did the last bit. Dads a techninja and﻿ mom is the Paint ninja.